The map-guided and unmarked Volksmarch routes mostly make use of sidewalks and designated trails in the Cities of South Bend and Mishawaka. The routes will be focused on the banks of the Saint Joseph River and the Lincoln Highway. The unmarked Volksmarch routes are mostly flat, shaded and makes use of city sidewalks and designated trails within the City of LaPorte. 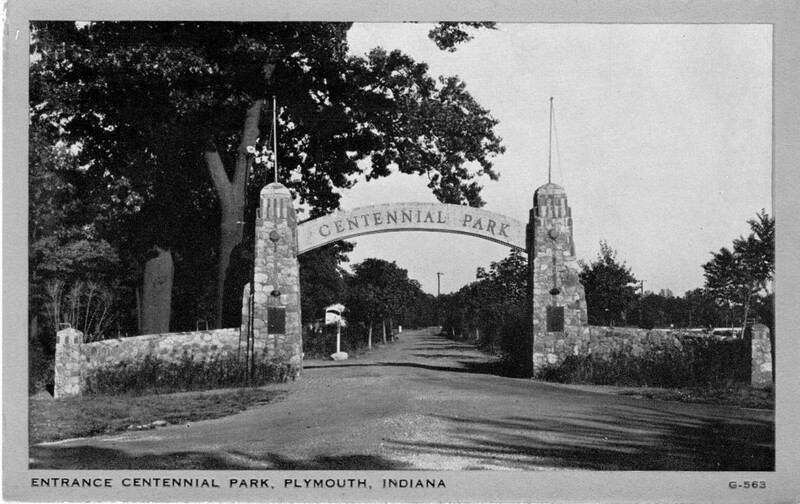 The routes will be oriented on the route taken by the Lincoln Highway through LaPorte prior to 1926 and historic neighborhoods. Each walk will be available in 5, 10 & 13 km lengths. 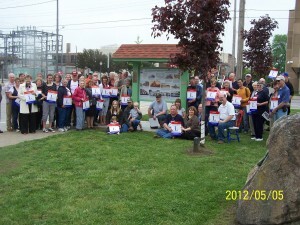 On May 5, La Porte became the fourth town along Indiana’s Lincoln Highway routes to display an informational kiosk; it joins Warsaw, New Carlisle and Plymouth. 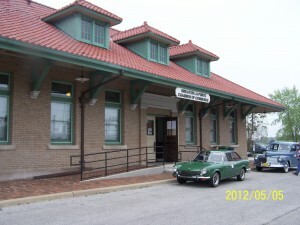 The kiosk, which was painted in a color scheme to match the depot, was unveiled by Indiana Lincoln Highway Association members Jim Bevins and Fred Sachtleben. 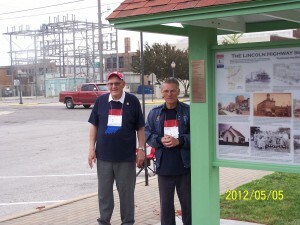 Both men are La Porte County natives who spent more than two years on construction and installation of the kiosk. 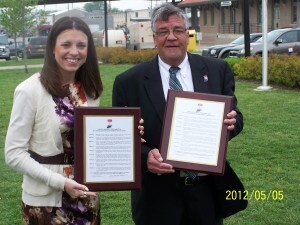 La Porte Mayor Blair Milo, and Greater La Porte Chamber of Commerce President Mike Seitz, were presented with a Proclamation prepared by Indiana Lincoln Highway Association President Jan Shupert-Arick. Click here for the Proclamation. 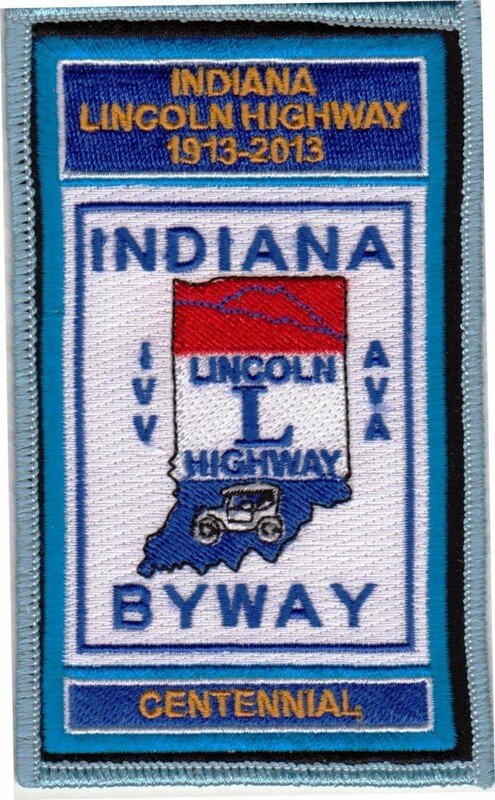 The annual meeting of the Indiana Lincoln Highway Association followed at B&J’s American Café. The group learned of opportunities for partnering with businesses in a presentation from Chamber President Mike Seitz. 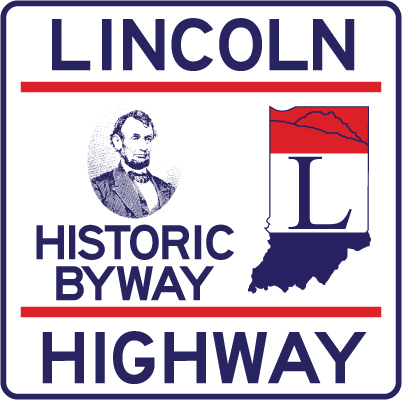 The Indiana Lincoln Highway Association’s accomplishments of the past year – highlighted by the highway’s designation as a Byway– were outlined in a presentation by President Jan Shupert-Arick. Photos courtesy Tim Ashley. Click photos for larger views. 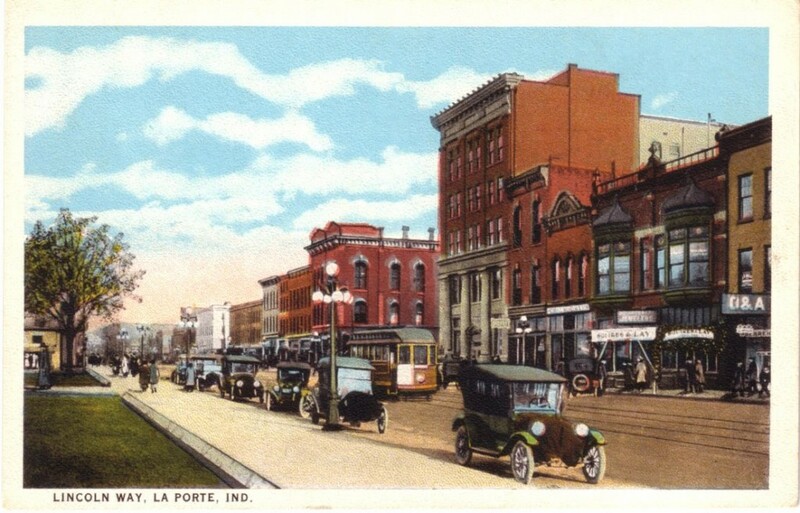 Downtown La Porte, IN – 400 Michigan Ave. at Washington St.